With best-in-class speed, the Glory Mach series is fast, accurate and versatile, providing optimal and accurate counting and sorting. 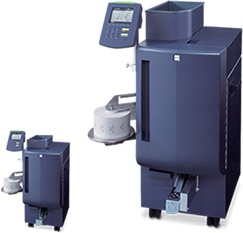 All Mach Series Coin Sorters are based on Glory’s tradition of excellence in the design and manufacture of coin sorting equipment. Glory’s high-speed WR-500 and standard speed WR-90 wraps large volumes of coins, delivering exceptional performance day-in and day-out. The WS-30, a compact tabletop wrapper accelerates coin processing, increasing accuracy and efficiency and removing outsourcing cost. 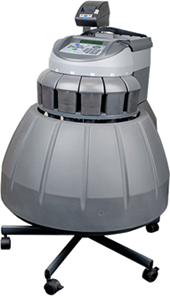 The G&D Zeus is highly versatile, easy and convenient to operate and supports unparalleled range of applications. It can be readily configured for specific user requirements and adapted to exiting network infrastructure. 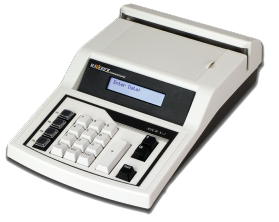 The Glory GFB Series note counters are reliable, accurate, and highly durable even in high volume currency applications, offering speeds up to 1,800 notes per minute. The Maverick MX-3 is your next generation MICR III encoder allowing you to program functions directly through the keyboard and begin encoding with minimal operator training. 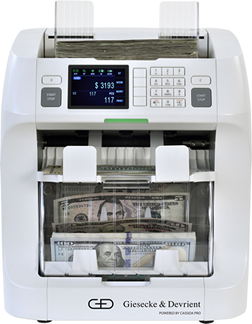 DBE also offers numerous Canon check scanning options.